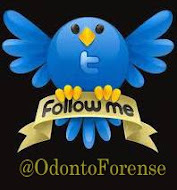 One of the interesting applications of Forensic Odontology is age estimation by means of teeth. Age assessment proves to be a critical factor in the victim identification process, and teeth may be the only useful means especially when the skull constitutes the only skeletal specimen. Age assessment in children and adolescents based on the stage of tooth development and eruption status of teeth is relatively accurate. Such methods can not be used in adults where the structural changes are more subtle. Gustafson (1950) was the first to devise the microscopic method for age estimation based on the examination of regressive changes in the ground sections of teeth. Since then, several investigators including Kashyap and Koteswara Rao have worked on Gustafson's criteria and have suggested a number of modifications. The applicability and accuracy of Gustafson method and its modification by Kashyap and Koteswara Rao are discussed by assessing the age of 100 subjects using these two methods. Along with the historical aspects, the book also gives a systematic review of all the methods available for age assessment in Forensic dentistry.